Today we have a look at two terms that are commonly used in the mobile cell phone and tablet world and community. You might have heard your friends, family or co-workers talk about how great jailbreaking their iPhone is, or maybe your go-to tech person has suggested that you root your Android tablet. At first, it can be very confusing for someone that has little knowledge on popular smart phones and tablets. On top of it, there’s plenty of erroneous and incomplete information around these topics plastered all over hundreds of websites. So, let’s have a quick but detailed overview of both Jailbreaking and Rooting, so we can once and for all understand what both really are, while grasping the big differences between both. Is rooting your Android the same as Jailbreaking and iPhone? NO! 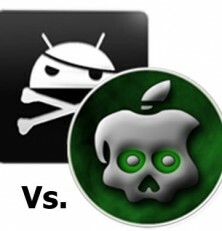 Despite what anyone would have you believe, Jailbreaking and Rooting are MILES apart. Basically, Apple has very strict regulations and doesn’t allow for any software not expressly endorsed by them. I worked for one of the biggest video game publishers in the world nearly 5 years. I worked on the Mobile Certifcation team and had a direct link to Apple and Google. My team certified every single application this top producer released over a period of 4 years. We were a 4 person team with 15 testers that released hundreds of applications into the market. Believe me when I tell you that I know how ridiculous Apple’s requirements can be in some cases. Jailbreaking an iPhone basically allows you to install third party applications not approved by Apple, i.e., not in iTunes. 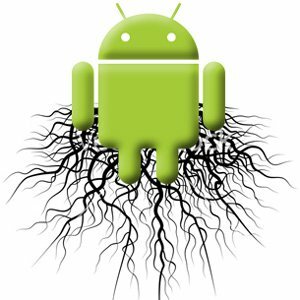 Some of these out of market applications can offer features for free or added tweaks reminiscent of what root users can do; but it’s nowhere near the same level of control. You’re still not truly an admin, you cannot modify the OS or system files, and you’re still bound by the framework that is iOS. Albeit, a slightly hacked version of iOS. Rooting gives you full access to your device on a level exponentially greater than Jailbreaking. 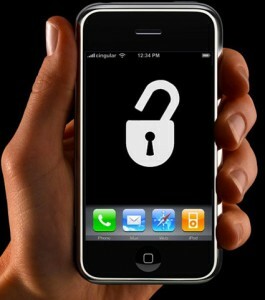 In fact, anything achieved by Jailbreaking your iPhone is available on stock Android. That’s right! You can already download from unknown sources and have the same level of control as a jailbroken iPhone straight out of the box! Rooting is so much more than that. It gives you access to your system and beyond. You can affect even top level files on your device. Every line of code in your device is editable and the possibilities are limited only by your coding/tech ability. In fact, once you’re rooted you’re not even bound within the OS! Because Android is Linux based and open source you can go into recovery mode and download a whole new version of the OS! Or a modified version. Or a version you built yourself! You can alter any and all hardware, software, or esthetic settings there are. It’s changing your phone at its most fundamental level and the possibilities are staggering. See our full article on the advantages of rooting or my intro guide on how to root for more info. The advantages are many ranging from deleting bloatware, to backing up applications, extending battery life, and improving performance. Root access can help you automate your phone, theme it just the way you like and create a device that’s drool worthy.